tok jo lett a wallpaper!!!! Great job, keep it up!!! nyaaa soo cute!! I love Syaoran!!! great background too!! I like green colors taht u used here!! ++++ favs for you Susan-chan!! Great wallpaper!!! Font and background are perfect! amazing , this wallpapers is so nice , i like see tsubasa anime , thanks for shraing it ! Really, it's a beautiful wallpaper. great job susan-chan!!!! Never saw the series so I have no clue. ^_^' The character extraction and background details are nicely done but I kind of wish you could have added color to the character too. But then, if you think this is right then that's what count. Thanks much for showing us another nice wall. Oooo.....green. Not really the common choice for the color theme but it suits so well!!! I love the text and the wings on the right side!!! And the walls looks great too!!! 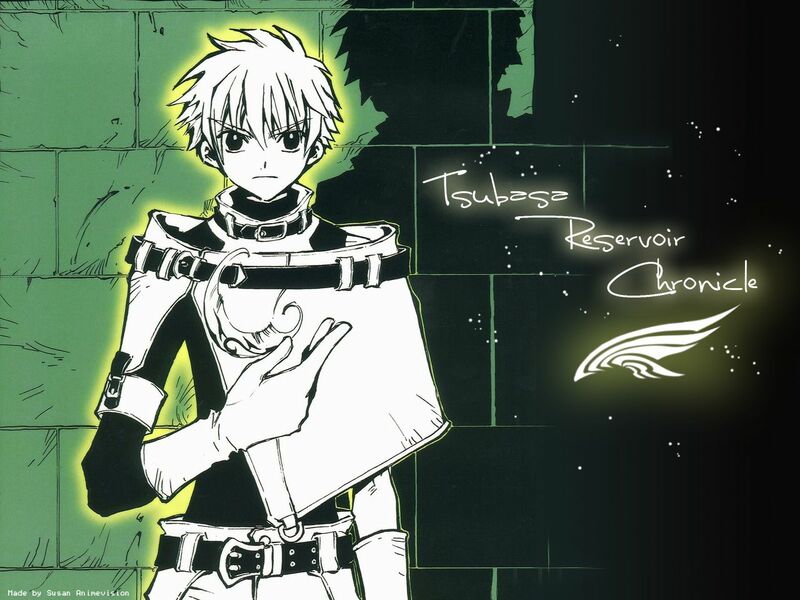 Syaoran looks so cool here!!! although in some odd way Syaoran kinda looks out of this wallie...maybe because he got no color...not sure...Still this rockz!!! Thankie so much for sharing this wallie with us!!! Such a lovely wallie!! !